It's December folks, which means that we are only a few weeks away from entering full blown 'Pilot Season': cue scary music. 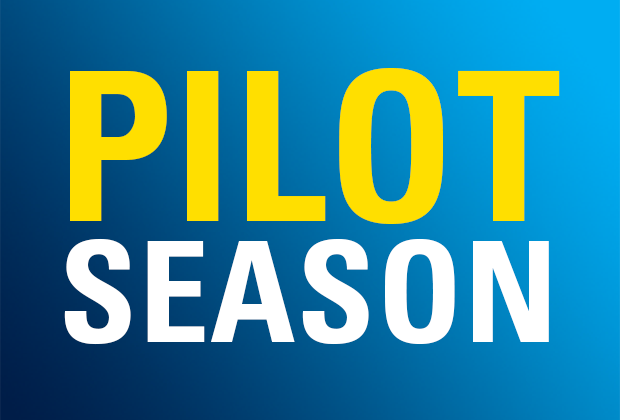 For the uninitiated, Pilot Season usually rolls around in the beginning of the year (although now starting earlier and earlier) when the big American studios begin casting pilot episodes of potential new shows. Those shows will shoot a few months later, and if successful will get picked up for a full season order to be ready by fall. That's autumn in American-speak. 1. Find a sample speaker of your casting type & make it your new best friend. A 'Neutral American' accent is hard to define because it doesn't exist. Everyone's voice carries their own lived experience, including race, class, gender, age, and education. Pick a sample speaker who is similar to your casting type and begin by listening. Then observe what they do with their mouth, lips, tongue, cheeks, etc. when they speak. Lastly, mimic their speech aloud on full voice. It's important to begin doing this work aloud, otherwise you will be making mistakes in the audition room instead of in the privacy of your own home. Which would you prefer? 2. Focus on perfecting Ls & Rs. This tends to be where Brits go wrong. Usually the back of the tongue isn't engaging, but at times it may be engaging too much. These 2 sounds are dead giveaways to casting directors, so hone in on perfecting them in performance. 3. Introduce traditional voice exercises into your day, but done in an American accent. One way you might work on perfecting the accent in performance is by taking classic voice exercises from your training and morphing them into American accent exercises. Any exercise can be done with an American accent in isolation. For example, try your hand at every "R" sound in General American! I highly recommend looking at classic exercises from Cicely Berry, Barbara Houseman, and David Carey amongst others. Dudley Knight's book Speaking with Skill is an American perspective on speech work, which may give new insight as well. 4. Commit to using the accent in free speech. There is nothing more confidence building than the ability to use the accent with ease in free speech. When you are confident in the accent you quit thinking about it, which in turn provides the freedom to act. Additionally, free speech can help point out some pitfalls that you might not have noticed when working with exercises. Build up the confidence to use the dialect in an unfamiliar place, where you aren't risking anything by trying. Get some actor friends together for an afternoon or over drinks spent speaking only in an American accent. Attend one of my American Accent Gym days, where we spend 2 hours speaking only in American accents. I promise you that this work will pay dividends. 5. Work with a coach early & often. & if you can't, download a virtual coach. Budget is always to be considered, but I cannot stress enough how much of a difference an hour with a coach can make. A coach will give you practice sheets, break down an accent for you, alert you to what is going wrong, and give you solid exercises to work in order to perfect an accent. Some coaches even offer shorter audition-prep Skype sessions for less than a full session, or even line recordings for a small fee if budget is tight. However, I know that money isn't always there. But to perfect an accent, you need to invest in yourself a bit. I suggest downloading The Accent Kit as a low-cost way to hone in on accent skills.